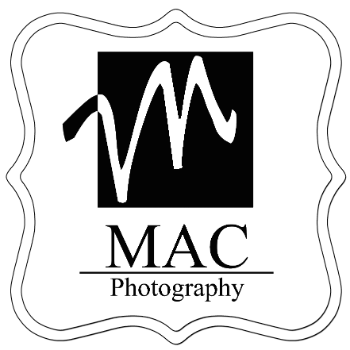 MAC Photography is boutique portrait studio located in Greensboro, NC, dedicated to providing superior caliber portraits, certain to stand out in a crowd. Offering fun and innovative portraits is important to the studio's owner, Melane Canupp. Melane (pronounced same as "Melanie") is an award-winning portrait photographer with more than 20 years experience. In fact, it's the ONLY career she's ever had. Photography isn't just a hobby, it's a passion! "My style combines a classic portrait feel with a contemporary flair for a truly elegant look. I want my art to be admired by generations to come, not hidden in a closet behind those parachute pants you don't want us to know about . . . - Melane Canupp"
When a beautiful portrait is important, an experienced, knowledgeable photographer is a must. Please take a moment to look around and picture your family through Melane's lens. I have always loved vintage Christmas art. Old Christmas cards and paintings, claymation holiday movies - all give me warm fuzzies. They remind me of my childhood. To me, they are timeless. Classic. I drew my inspiration for these portraits from such works of art. I think my favorite, the often humorous and whimsical works of Norman Rockwell. I love the slight quirkiness of those images, perhaps because I'm slightly quirky myself! I hope to capture a little warmth, a little whimsy, a little humor and a little magic in my Santa's Workshop portraits. Unicorns are just magical, aren't they? My daughter is obsessed with all things frilly, sparkly and magical, and especially all things Unicorn! Bring this majestic, mystical creature into your life in a unicorn portrait. Together, we'll capture a magical portrait full of awe and wonder with a live Unicorn and forever freeze this moment in time. These portraits are sure to be cherished for generations and make a beautiful memory for your family. Thank you for your message! I do my best to return emails as soon as I can. Please keep in mind that during busy seasons, I may be with clients back to back and unable to respond to emails until the following business day. Even Many Different Session Types!